205012 4BG1T, AA-6BG1 BB-4BG1T, BB-6BG1T Isuzu Industrial Diesel Engine 4BG1T, AA-6BG1 BB-4BG1T, BB-6BG1T. Workshop Manual. 205013 4HF1 / 4HF1-2 / 4HE1-TC / 4HG1 / 4HG1 Isuzu Engine 4HF1 / 4HF1-2 / 4HE1-TC / 4HG1 / 4HG1-T. Workshop Manual. 205014 4HK1 Euro4 Isuzu Engine 4HK1 Euro4 with DOC. Workshop Manual. 205015 4HK1, 6HK1 Isuzu Engine 4HK1, 6HK1. Workshop Manual. 205016 4HV1 Isuzu Engine 4HV1. Workshop Manual. 205019 A-4JG1 Isuzu Engine 4JG1 Industrial Engine. Workshop manual. 205020 A-4JG2 Isuzu Engine 4JG2 Industrial Engine. Workshop manual. 205021 4JK1/4JJ1 Isuzu Engine 4JK1/4JJ1 Industrial Engine. Workshop manual. 205022 A-4JX1 Isuzu Engine 4JX1 Industrial Engine. Workshop manual. 205023 4Z Isuzu Engine 4Z. Workshop manual. 205024 6HE1-TC Isuzu Engine 6HE1-TC. Workshop manual. 205025 6HF1 Isuzu Engine 6HF1. Workshop manual. 205026 6HH1 Isuzu Engine 6HH1 (2 valves). Workshop manual. 205027 6HH1 Isuzu Engine 6HH1 (4 valves). Workshop manual. 205028 6HH1-TC Isuzu Engine 6HH1-TC. Workshop manual. 205029 6HK1 / Euro5 Isuzu Engine 6HK1 / Euro5 specification. Workshop manual. 205030 AA-6HK1, BB-6HK1 Isuzu Engine 6HK1, BB-6HK1 Industrial Engine. Workshop manual. 205031 6HK1-TC Isuzu Engine 6HK1-TC. Workshop manual. 205032 AA-6HK1T, BB-6HK1T Isuzu Engine 6HK1T, BB-6HK1T Industrial Engine. Workshop manual. 205033 6SD1, 6SD1-TC Isuzu Engine 6SD1, 6SD1-TC (Mechanical governer). Workshop manual. 205034 6SD1-TC Isuzu Engine 6SD1-TC (Common rail). Workshop manual. 205035 6SD1-TCN, 6SD1-TCS Isuzu Engine 6SD1-TCN, 6SD1-TCS. Workshop manual. 205036 AA-6SD1T Isuzu Engine 6SD1T Industrial Engine. Workshop manual. 205037 AA-6TD1T Isuzu Engine 6TD1T Industrial Engine. Workshop manual. 205038 6UZ1 Euro 3 Isuzu Engine 6UZ1 Euro 3. Workshop manual. 205039 6UZ1 Euro 5 Isuzu Engine 6UZ1 Euro 5. Workshop manual. 205040 6VD1/6VE1 Isuzu Engine 6VD1/6VE1. Workshop manual. 205041 6VE1 Isuzu Engine 6VE1. Workshop manual. 205042 6WA1-TC Isuzu Engine 6WA1-TC. Workshop manual. 205043 6WF1-TC Isuzu Engine 6WF1-TC (Common Rail). Workshop manual. 205044 6WF1-TC (EC Governor) Isuzu Engine 6WF1-TC (EC Governor). Workshop manual. 205045 6WF1-TC, 6WG1-TC Isuzu Engine 6WF1-TC, 6WG1-TC. Workshop manual. 205046 6WG1 Isuzu Engine 6WG1. Workshop manual. 205047 6WG1 / Euro5 Isuzu Engine 6WG1 / Euro5 specification. Workshop manual. 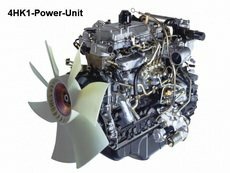 205048 6WG1 / Japan 02/04 Isuzu Engine 6WG1 / Japan02 / 04 standard specification. Workshop manual. 205049 6WG1-TC Isuzu Engine 6WG1-TC. Workshop manual. 205050 8PE1 and 10PE1 Isuzu Engine 8PE1 and 10PE1. Workshop manual. 205051 C24SE Isuzu Engine C24SE. Workshop manual. 205052 HFV6 Isuzu Engine HFV6. Workshop manual. 205053 NPR Diesel 5.2L Isuzu NPR Diesel 5.2L N series 2007-2009. Workshop manual.